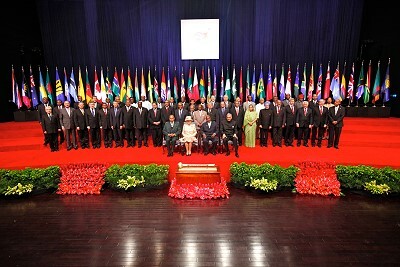 Published on November 29, 2009 in CHOGM and International. Closed Tags: Commonwealth, Patrick Manning, Politics, T&T Govt. 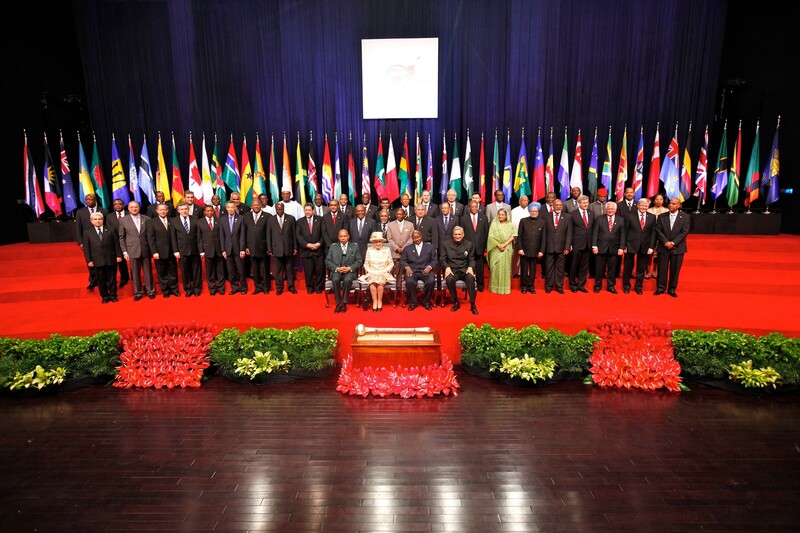 HISTORY was made in Port-of-Spain yesterday as Commonwealth leaders reached a groundbreaking agreement on climate change on day two of the Commonwealth Heads of Government Meeting (CHOGM). 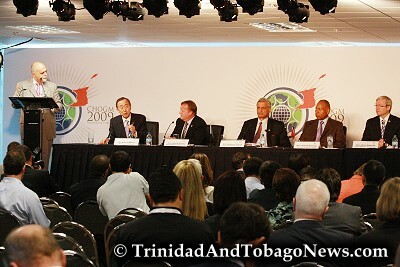 This was revealed at a news conference held at the International Financial Centre in Port-of-Spain by Prime Minister Patrick Manning, Australia Prime Minister Kevin Rudd, Commonwealth Secretary-General Kamalesh Sharma, United Nations (UN) Secretary-General Ban Ki-moon and Denmark Prime Minister Lars Lokke Rasmussen. Published on November 29, 2009 in CHOGM, Complaints, International and Politics. 1 Comment Tags: Commonwealth, Patrick Manning, Politics, T&T Govt. The Commonwealth is a voluntary intergovernmental organisation that covers fifty-three independent states. The collection of nations that belong to the organisation and the two billion people they represent justify its existence. The Commonwealth organisation has established itself throughout the former colonies of the British Empire and the world. Published on November 29, 2009 in CARICOM, CHOGM, Finance, International, Politics and Security. 7 Comments Tags: Commonwealth, Patrick Manning, Politics, Raffique Shah, T&T Govt. Friday morning. Big day for Prime Minister Patrick Manning. 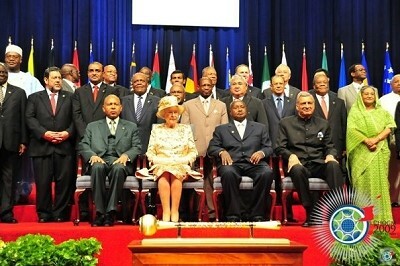 Her Majesty Queen Elizabeth II heads a list of dignitaries attending the CHOGM. Over the next three days Trinidad and Tobago, this small country, will showcase its wonderful Chinese architecture to our envious Commonwealth brethren. Look at me! Watch my costume (including my brand-name ‘darkers’ that I don’t take off, not even to look Her Majesty in the eye, as royal etiquette demands). Don’t mash my Performing Arts cape! I’m on the world stage!